Morning Glory clouds are long tubular formations that can stretch up to a 1,000 kilometers in length. A type of roll cloud, similar formations have been spotted around the world but the area around Burketown in Queensland Australia is the only place in the world where the formation of Morning Glory clouds can be predicted. Each spring (from late September to early November), this rare and unique cloud formation appears in the southern part of the Gulf of Carpentaria in Northern Australia and is visible from Burketown. The altitude at which these clouds form can range from a few hundred meters high to up to two kilometers up in the atmosphere. For a few weeks during the spring months in the Gulf of Carpentaria in Australia, Morning Glory cloud formations can be seen. Map: NormanEinstein CC BY-SA 3.0, 2009. These Morning Glory clouds were captured by Mick Petroff in 2009 flying near the Gulf of Carpentaria, Australia. Morning Glory clouds near Gulf of Carpentaria, Australia, 2009 by Mick Petroff, CC BY-SA 3.0. How do Morning Glory Clouds Form? 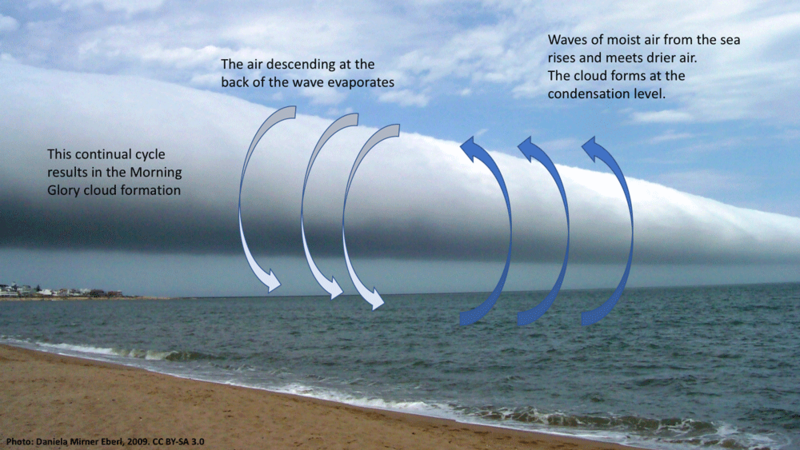 This graphic provides a simplistic view of how Morning Glory clouds form. 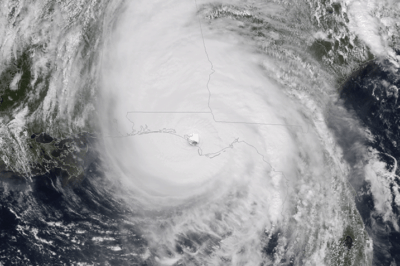 These clouds form when waves of moist air from the sea rise and meet drier air. The cloud forms at the condensation level. The air descending at the back of the wave evaporates. This continual cycle results in the Morning Glory cloud formation. What Causes Gaps in the Clouds?